Another hearty stew for a cold and frosty February day today! I don't know about you but I am just so chilly at the moment!! This week I am on a bit of a health kick what with all of the coughs and sniffles going around, so all I seem to want to eat is vegetables and good stuff, which obviously isn't such a bad thing over the indulging at Christmas. This stew is a great dish to pop in the slow cooker as after frying off the onion and peppers, it virtually cooks its self. I did make the vegetables quite chunky, but if I was cooking it for the kids, I would probably cut the vegetables up slightly smaller. 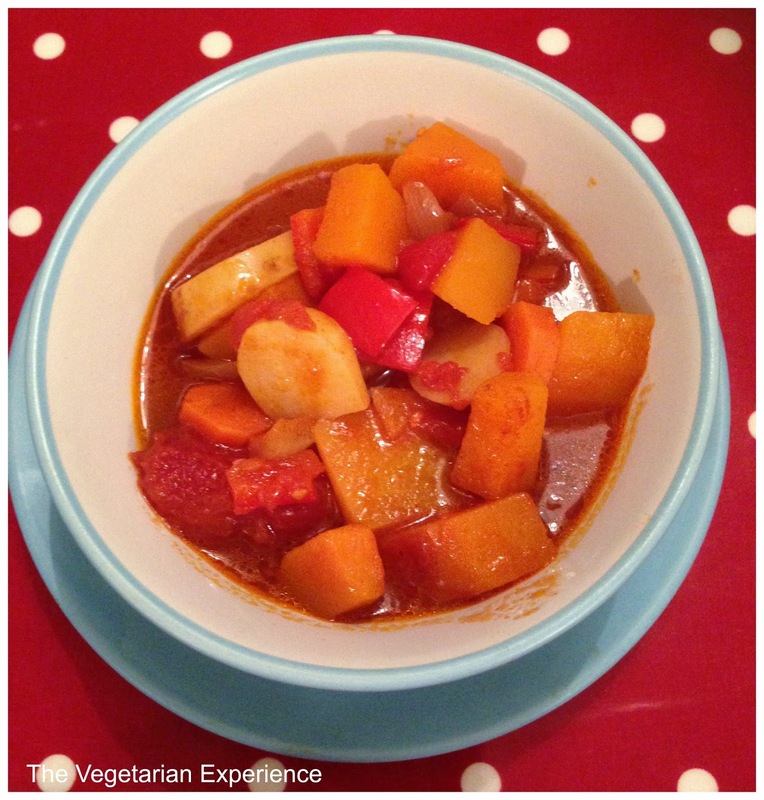 Do give this winter stew a go and let me know your thoughts. What is your favourite winter warmer dish? Fry the onions and garlic in the olive oil over a medium heat for around five minutes or until they become transparent. Add the Pepper and continue to fry lightly for around 3-5 minutes. Add the peppers, onions and tinned tomatoes and vegetable stock to the slow cooker. Add the herbs, spices, sauces and salt and pepper to the slow cooker and stir well. Cook on low for 6-7 hours, or high for around 3-4 hours, stirring during the cooking time if possible. The dish is ready once the butternut squash cubes have softened. Serve immediately, or allow to cool and then freeze.